Circa 1989, Jonathan Royle was 14 and a half years old, and devised several cunning ideas. These include methods for a Torn & Restored Cigarette Paper along with Torn & Restored Playing Cards and various others. These were submitted to the Supreme Magic Company for publication in their "Magigram" Magazine within which, in his former stage name of Alex-Leroy, Royle was later to have his own monthly column until the company went bust and the magazine ceased printing. Some of his best ideas, including the Torn & Restored Playing Card, which you can see performed in the video on this page, sadly did not make it to publication. He has never revealed them until now. With the cigarette paper, your hands are completely empty at the start of the routine and you end 100% clean as well, and yes this can be performed in short sleeves. Indeed, you could be naked if you so desired. 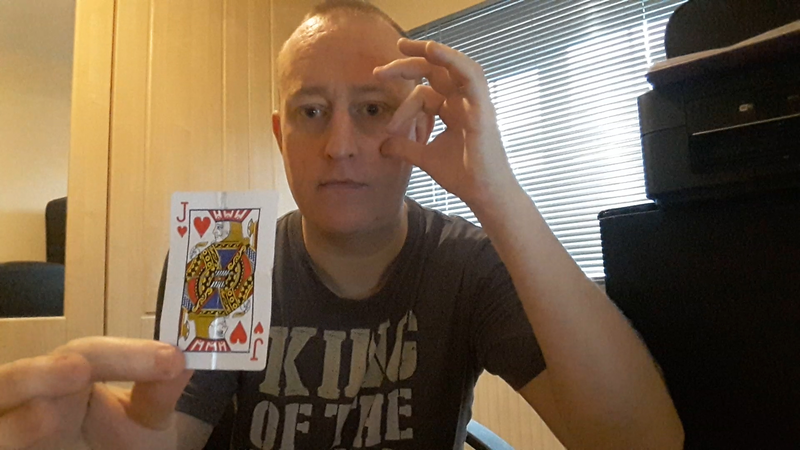 By way of a short PDF accompanied by step-by-step training videos which in total run for just over 40 minutes, you will learn this routine and also Royle's ideas for Torn & Restored Playing Cards. You will also learn a miraculous-looking vanishing coin routine which, again, can be done naked if you so desired. You will really enjoy the cheeky ingenuity behind these methods.